Hamilton Isle, between a rock and a hard place. 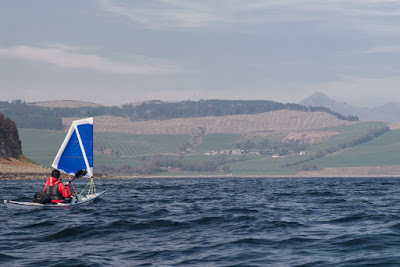 From the north end of Holy Island we gradually came out of the wind shadow of its mountains and picked up a fair breeze across the north entrance to Lamlash Bay. The Bay is sheltered by Holy Island and forms an excellent natural harbour. In the dark days of WW2 it often gave shelter to ships of both the Royal Navy and the Merchant Navy. 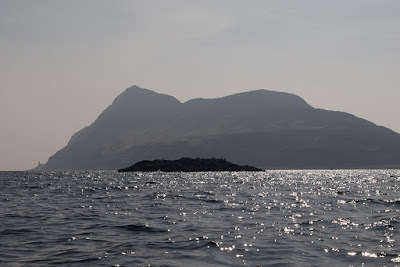 As we approached tiny Hamilton Isle (little more than a rock) we began to experience an uneasy swell coming from the north (despite the wind being from the south). 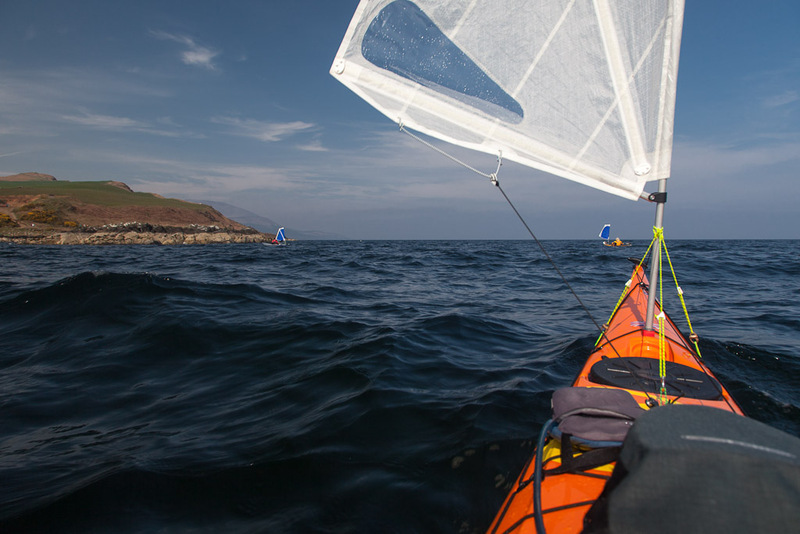 The forecast was for the wind to veer to the NW and increase to F5-7 in the afternoon so we made the most of the fair wind while it lasted. 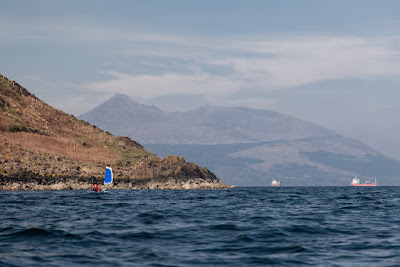 As we approached Clauchlands Point we began to see into the depths of Brodick Bay where our journey would shortly end. Several ships were anchored in the shelter of the Bay. Before rounding the point, we stopped for a last look south towards Hamilton Isle. Mullach Mor, 314m, on Holy Island towered behind it. 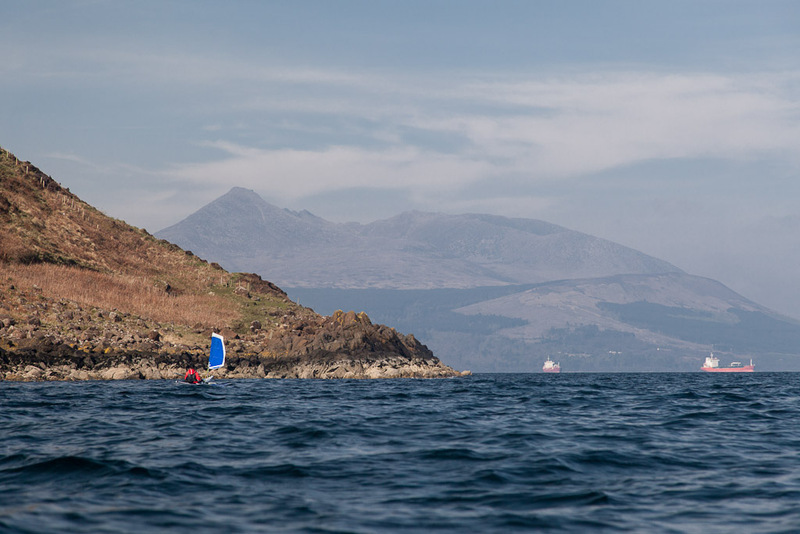 Arran only has three satellite isles, Holy Island (the largest), Pladda and Hamilton Isle (the smallest). Hamilton Isle used to be more accurately called Hamilton Rock. On the 13 October 1891, a 58 ton wooden schooner, Elizabeth McClure, was wrecked on Hamilton Rock with three men aboard. She had been carrying coal, from Irvine in Scotland to Larne in Ireland, when she was caught in a violent F11 storm from the SW. 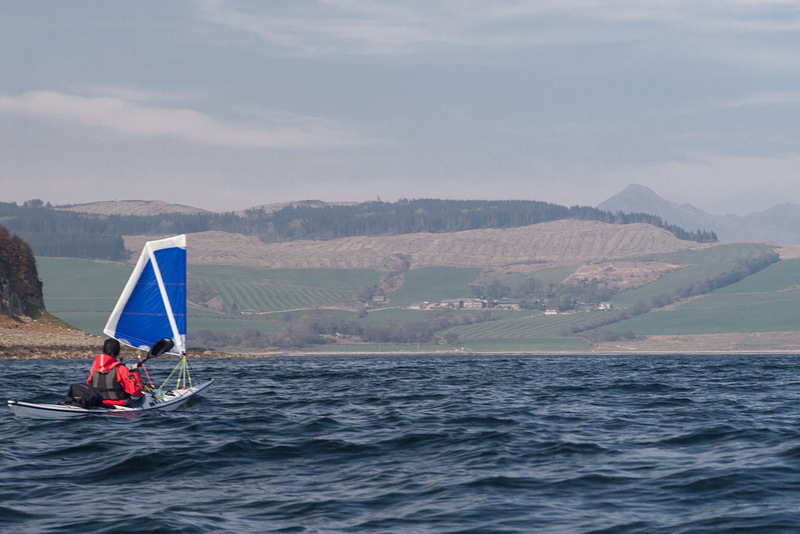 Given this wind direction, it is possible that she had tried to seek shelter in Lamlash Bay and that her anchor had dragged as the storm increased.